Predicting the future is a dodgy proposition at the best of times. It’s particularly hard with infectious diseases, which tend not to behave as expected. Yet, it’s important to plan surveillance, education and response. One approach is to assess where certain types of problems are more likely to develop. That can help direct resources (time, effort, money) to higher-risk locations where they’ll potentially have the most impact. A recent study in Trends in Parasitology (Han et al 2016) did just that. 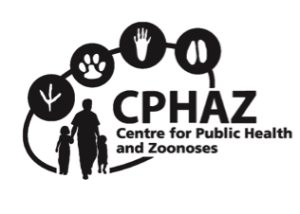 They looked at existing information about mammalian species that are hosts for various zoonotic pathogens and they looked at a variety of factors that can influence disease risk. The paper has a lot of comprehensive discussion of risks associated with different types of mammals (e.g. rodents vs bats vs ungulates) and different types of pathogens. However, since we tend to like things distilled down into pretty pictures, their maps are getting the most attention. Their assessment of the number of zoonoses in different regions might surprise some. For the full story, the open source paper can be accessed via the hyperlink above.